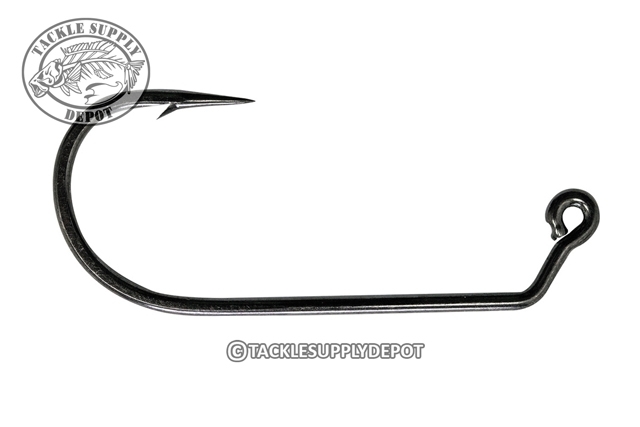 Mustad 32824NP-BN Extra Heavy Wire Flipping Hooks feature a chemically sharpened needle point, tempering for strength and 60 degree bend eye shank. These hooks are an extra heavy version of the 32786 hooks making them an ideal choice for saltwater applications and big jigs for the likes of Muskie and Stripers. Black Nickel Finish.